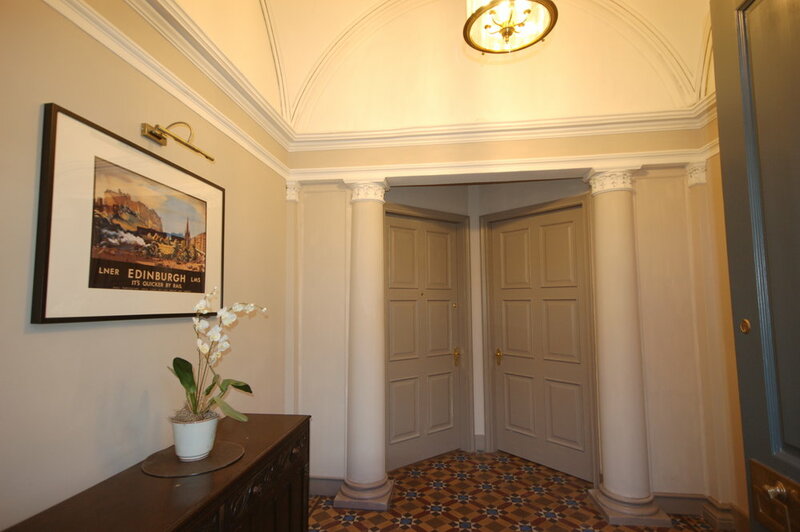 The property is located on Great King Street, one of the finest Georgian terraces in Edinburgh. It is a 5-10 minute walk from George Street and Princes Street where the best shops, restaurants and bars are located and the Castle is a 20 minute walk away. The apartment is on the first floor (one flight of stairs) of a traditional townhouse. The accommodation comprises a living room, kitchen, 3 double bedrooms and 2 bathrooms. The superb living room has floor to ceiling windows, marble fireplace and decorative ceiling plasterwork. Excellent property, great location and would book again.